Keep your eyes on the sky if you're attending the Cheyenne Frontier Days Rodeo July 14. The U.S. Navy Parachute Team known as the "Leap Frogs" will descend in parachutes from planes over the Cheyenne, Wyoming, rodeo arena. The Leap Frogs help educate the public about the U.S. Navy and the men and women who serve to protect Americans' freedoms. Among the group of Leap Frogs is South Dakota cattleman and Navy SEAL, Timothy John "T.J." Amdahl. 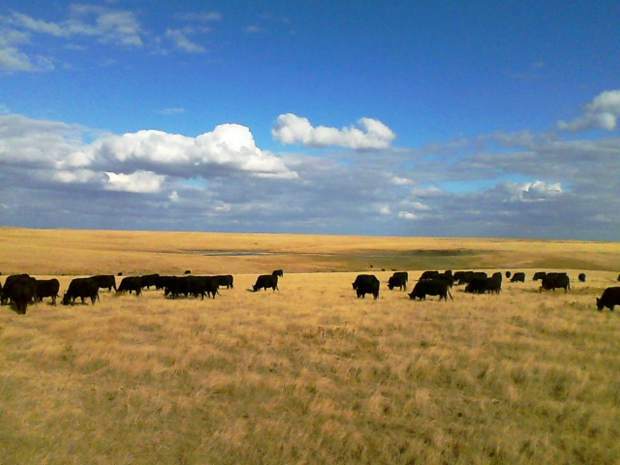 Originally from Salem, South Dakota, Amdahl's family now resides near Piedmont where they operate their seedstock operation, Amdahl Angus, as well as the recently acquired Baker Hereford Ranch. After serving two tours of duty in Afghanistan, Petty Officer First Class Amdahl, age 25, now travels the country with the Leap Frogs and looks forward to the team's stop in Wyoming this summer. 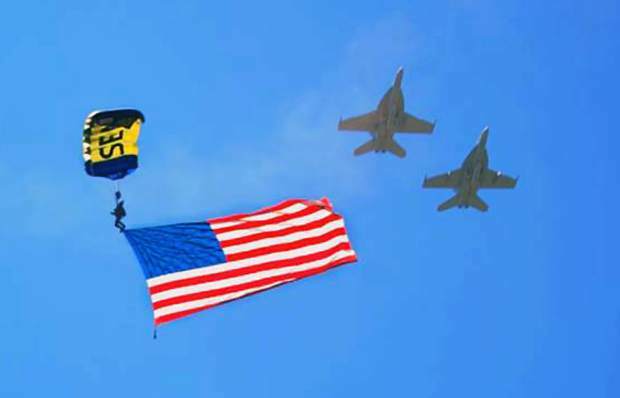 "Through the Leap Frogs, the Navy Parachute Team is able to give back to different communities by free-falling at high school events, air shows, football and baseball games and rodeos," said Amdahl, who has 15 months left of active service duty. "I feel honored and humbled when I land and people are cheering for me and thanking me. There are so many people who have sacrificed so much more than me, those people who have given their lives and the family members left behind. Those are the people who truly deserve the thanks and applause." The Leap Frogs will jump right into the rodeo arena, giving attendees an up-close view of free-falling parachuters. "The best part of skydiving for me isn't as I'm falling out of the plane; it is the second before you jump out," said Amdahl. "The moment before jumping, nothing else matters. You have an acute sense of awareness, and all you are thinking about is what you are about to do. It's unreal! I'm just so thankful that I can do this for a living and represent the Navy in a way that I love and appreciate." Amdahl credits his childhood spent on the family seedstock business for his adventurous spirit, strong work ethic, and love of being outdoors, which lend themselves well to finding success in the Navy. "My dad gave me a hard work ethic," he said. "I was never the best athlete, but I had mental toughness. This helped me get through training and keeping up with college athletes who could run and swim way faster than me. Growing up on the ranch meant early mornings and working long past dark. A lot of the Navy SEAL program is about mental toughness and to keep going when the going gets tough; it's more of a marathon than a sprint." "T.J. has always loved physical challenges," added his dad, Timothy. "When he learned what it takes to become a Navy SEAL, we thought it might discourage him from signing up, but T.J. thought it looked pretty awesome. He always puts 110 percent into everything he does, and he likes a good challenge. The Navy was a perfect fit for him." Amdahl's folks signed a waiver so the then 17-year-old could join the Navy right out of high school. "I wanted to join the Navy to serve my country," said Amdahl. "Growing up, I always wanted to be in the military and be a jet pilot. I wanted to make a difference. I had a camp counselor at Rainbow Bible Ranch in Sturgis, South Dakota who was a mentor of mine. He joined the Navy and inspired me to be part of this elite group of people, too." The five Amdahl kids were homeschooled, but T.J. wanted to participate in FFA and the music programs, so in high school, he attended McCook Central where he was a homecoming king, a National FFA proficiency winner in beef cattle production and played the bass drums in the National FFA band during convention. "T.J. has the ability to light up the room with his charisma and energetic personality," said Timothy. "At a recent event, the Leap Frogs commander thanked Marcia and I for raising a kid like T.J. He has lifted the excitement of the Leap Frogs and is a great promoter of the Navy. 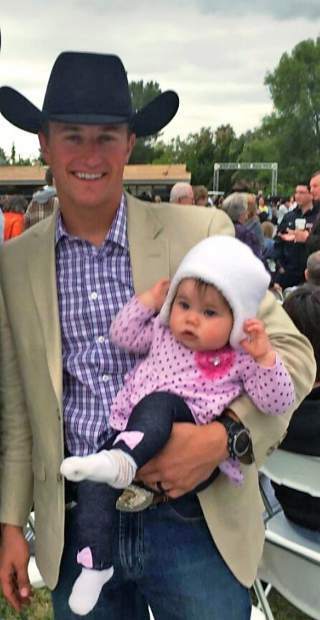 Everyone enjoys being around T.J."
Amdahl lives in Coronado, Calif. with his wife Alicia and their nine-month old daughter Tatham, who was named in tribute to a fellow Navy SEAL who didn't make it home from the war. The trio have plans to move back home to South Dakota after Amdahl's commitment to the Navy is complete. 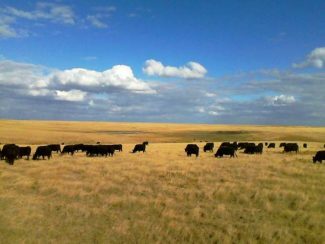 "My wife and I are working on increasing our cattle herd and getting back home," said Amdahl, whose father and brother J.D. oversee the family operation. "With my Navy SEAL bonus, I bought cattle. At the time, I was driving a 1984 Volvo wagon, and my SEAL buddies made fun of me a little bit for using my donuts to jumpstart my cattle herd instead of updating my vehicle." Amdahl admitted that as a kid, he couldn't wait to see the world, but now, he's motivated to get back to rural South Dakota. "Growing up in agriculture, I didn't appreciate that life as much as I do now," he said. "What motivates me now is to raise a family in an agricultural environment. I joined the Navy to serve my country and see the world, but now I can't wait to get back and enjoy life in South Dakota." "As a dad of five, we admire, respect and appreciate our kids and everything they do," said Timothy. "We always told our kids if God is leading you, you can go anywhere in the world and make a difference wherever you are. Our kids grew up with a big, Christian worldview. It's our liberties in America that makes us different from other countries. T.J. is putting his life on the line to protect those liberties. "Because T.J. is comfortable in his eternity and where he is coming from, he would take a bullet for anyone," added Timothy. "SEALs are trained to do that and stand back-to-back. The closeness they feel with their fellow SEALs, it's that strong connection that keeps them together and keeps them going." Although Amdahl was very modest in his interview about his service, his duty to country and willingness to serve are admirable. He looks forward to sharing the Navy with rodeo attendees at Cheyenne Frontier Days. For those who can't attend, T.J.'s adventures with the Leap Frogs can be viewed on Facebook. Search "U.S. Navy Parachute Team Leap Frogs" on Facebook to see GoPro footage with images and videos from T.J.'s helmet camera online.